Trading places has worked well for Baxter the camel who became an instant hit at his new home at Yorkshire Wildlife Park. The 11-year-old Bactrian made the short trip down from Malton and settled into his new surroundings at the award-winning park and was soon drawing the attention of admiring female camels. The wild population has dwindled to around 2,000 and Yorkshire Wildlife Park, at Branton, near Doncaster, has successfully bred and raised awareness about the species. “The situation is critical so we have to do everything we can to help, ” said Britt Jensen YWP’s Hoofstock Team leader. “Baxter was welcomed into the park’s family and the female camels were soon crowding round to get to know him”. Baxter traded places with Khan who travelled up to Flamingoland at Malton where he is also settling in well. 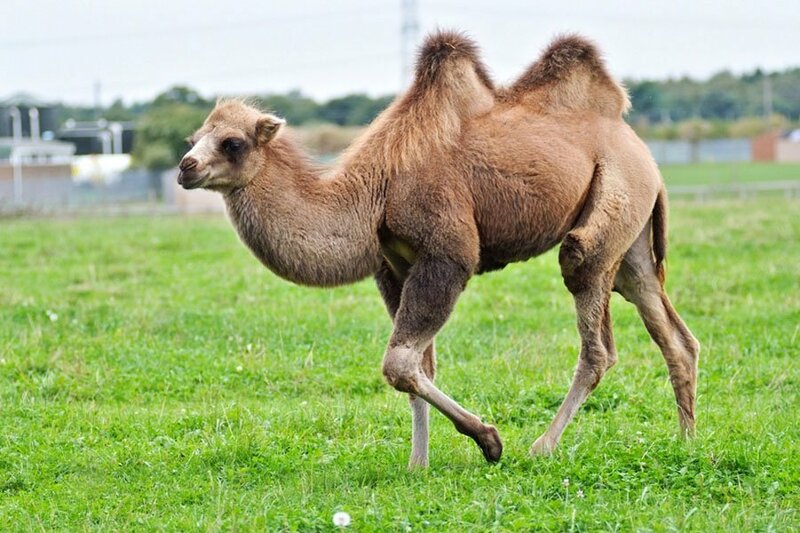 It is a common practice to swap bull camels to help maintain a healthy bloodline and genetic diversity in the population. Yorkshire Wildlife Park welcomed a trio of camel calves last year, born to mum Lottie, called Gertie, Gucci and Genghis, and keepers hope the strong breeding tradition will continue with the arrival of Baxter.